First all the fragrance draws you in~ that clean herbaceous scent that smells like nothing else except like being in the middle of an herb garden. Whether you brush you hands against against its evergreen-like leaves or smell the essential oil it just fills you with that clean clear scent. I just love that scent. You can use the fresh or dried leaves in cooking whether its Italian Cuisine or adding to your stuffing, roasting potatoes or chicken. You can even infuse it into olive oil and use in salad dressings or to flavor foods. You can even make an herbal tea with this fine plant although I have not tried that yet. You can also add to soups and stews. My favorite bread is a rosemary-olive oil bread! Yum! There are many different sorts of Rosemary or Cultivars that you can choose from if you wish to grow it. This herb is drought tolerant and considered easy to grow. Its also pest resistant which I found interesting. It likes good drainage and a sunny position. I have seen these plants grow quite large into big beautiful bushes and when dotted with their blue flowers are quite magnificent and fragrant. Okay alittle folklore – the Virgin Mary was said to spread her blue cloak over a white flowered rosemary bush as she slept. The flowers were said to turn blue and the bush became known as the “Rose of Mary”. I love how those legends are born. I also love and use Rosemary Essential Oil. Shakespeare’s Hamlet has often been quoted for this line ” Here’s rosemary, that’s for remembrance”. 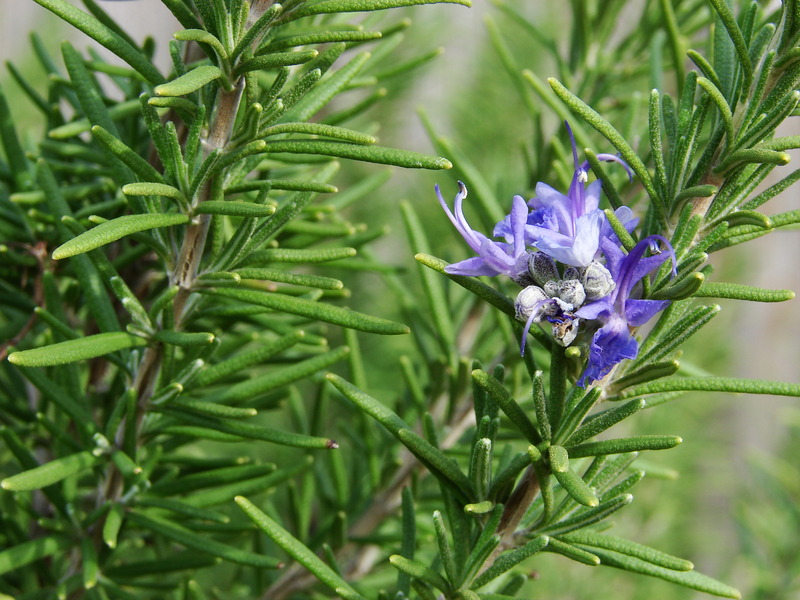 Rosemary has been associated with memory and I have said in a previous post here your nose has a direct path to the memory center in your brain. When I was going to night school for massage therapy and being the oldest student, I sniffed allot of rosemary essential oil during that time and I feel it did help. There have even been studies on the effects of rosemary essential oil ( note this is not rosemary herb infused in say olive oil but rosemary essential oil steam distilled from the leaves) on memory. Please note the caution for Pregnant or Breastfeeding women against using Rosemary Essential Oil. Lastly Rosemary Essential Oil has other health benefits that have been cited like stress relief, pain relief, relieve respiratory problems and others. This essential oil also has benefits for your hair as it stimulates hair growth. This is one of the reasons I have added rosemary essential oil to my basic shampoo bar blend. And I just love the fragrance rosemary essential oil adds to the scent. 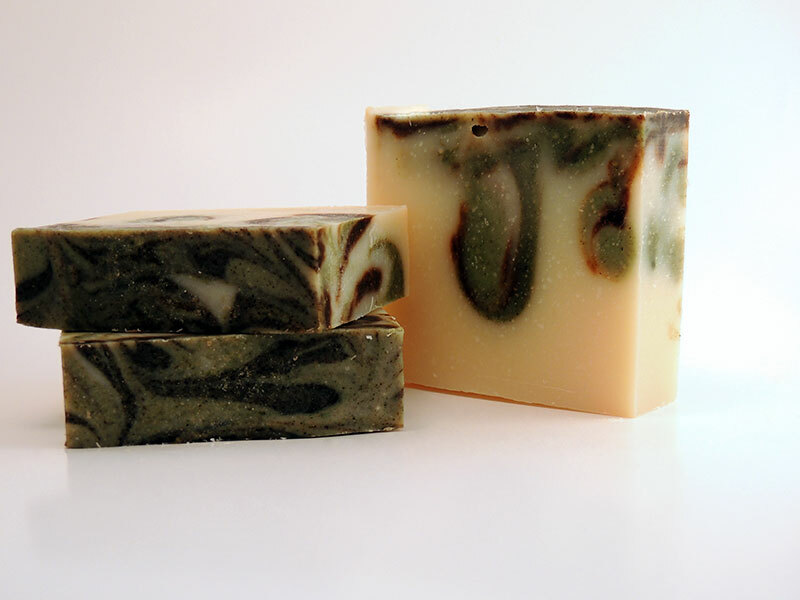 Have you tried any of our rosemary scented soaps like Rosemary Mint ~~ Rosemary Lemongrass ~ Lavender Rosemary ~~Healthy Hair Shampoo ? Rosemary is easy to grow. It’s hearty and can live for quite a long time with very little maintenance. Whatever effort is put into the growing of the plant, the returns are a thousand fold! A couple of sprigs on your chicken breasts are ohhhhh so delicious! My walking/brushing past it on my walkway releases its utterly heavenly fragrance! Thank you, Marilyn, for this wonderful blog post! I love your rosemary bush – need to plant one again as I miss that fresh rosemary! Yum! Anne-Marie you are most welcome. Love the smell of Rosemary , one of my favorite Herbs & Essential Oil!